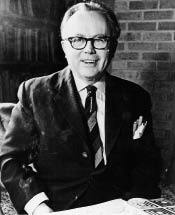 Russell Kirk was born 90 years ago last October, and in 2009 we remember the 15th anniversary of his death. Conservatism has changed, and changed again, in the intervening years. The mid-1990s were the years of the Gingrich revolution in the Congress, and of Patrick J. Buchanan’s fiery 1996 Republican convention speech, and impeachment proceedings against President Clinton. Since September 11, the Right has been divided as much as at any time since the 1950s. Some prefer the expansion of “the American way of life” to foreign lands, while others look to an older tradition of local loyalties and more modest foreign ambitions. At home, our government is in a crisis. The Congress has seemingly decided—the Constitution notwithstanding—that it should leave decisions regarding war and the economy to the President, and any controversial social issues to the courts. Despite eight years of Republican dominance of the national government, conservative voices were not heard, or not heard often enough, in these debates. Thus the time is right for extended reflectionson Kirk and his legacy. Some serious analyses have appeared, such as recent books by Wesley McDonald and James Person, and an important essay by Michael P. Federici in Modern Age, and some not so serious. An example of the latter is Alan Wolfe’s largely content-free attack on Kirk in the New Republic, which shows, if nothing else, that the last great liberal journal still thinks trying to take Kirk down is worth the effort, despite protestations of his obsolescence. As well it might: for Kirk is almost the last of conservatism’s first generation whose works retain the possibility of wide appeal beyond CPAC and mainstream conservatism. Kirk’s conservatism was larger than politics and extended across the oceans and backward in time, yet small enough not to lose sight of Mecosta, his ancestral village. It was a conservatism suffused with humor and heart. Not concerned only, or even primarily, to oppose liberalism—abstractions fighting abstractions—Kirk instead wanted to lead us back to the importance of the individual in creating tradition, the complexity of history, and suspicion of anything smacking of ideological absolutism. In our postmodern age, Kirk’s work assumes a greater importance as we work to recover tradition and the roots of order. Kirk had the same appeal as that other great conservative founder William F. Buckley, Jr. Both were adept at creating a persona, yet it was not an “act”: rather, they demonstrated that habits and ideas have consequences and can shape who we are. Not surprisingly, they are both the most accessible conservative writers. Judging from a proliferation of new websites and journals, the rising generation has responded to Kirk. Young conservatives are rejecting the “national greatness” conservatism of the “movement” in favor of localism, non-intervention, and reconsidering the ideas and institutions that form a common culture. If change is the means of our preservation, as Kirk often insisted, such young writers are demonstrating how reform should be reconciled with permanence.